You are here: Home ->Frequently Asked Questions -> What is Chinese Herbal Medicine or Oriental Herbal Medicine? What is Chinese Herbal Medicine or Oriental Herbal Medicine? Chinese Herbal Medicine is another of the key components of the system of Traditional Chinese Medicine (TCM). For more than 4,000 years, in the process of defending against diseases for thousands of years, herbal medicine has been developed and systemized based upon theoretical principles as a means of both prevention and treatment of illness and disease. Chinese herbal medicine is the most practiced modality in Chinese medicine and it has been applied for the clinical management of a wide range of clinical conditions. Recent clinical trials have demonstrated the value of Chinese herbal medicine in the clinical management of irritable bowel syndrome, allergic rhinitis, hepatitis C and many other disorders. There are thousands of herbs in the Chinese pharmacopia, consisting of plants, minerals and animal products. 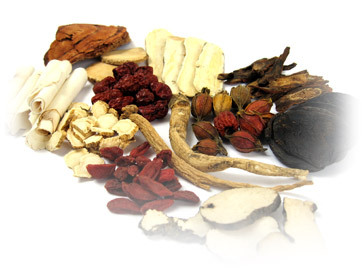 Chinese herbs are usually combined into formulas containing anywhere from 3 to 20 herbs. These combinations are designed to augment the actions or to ameliorate adverse effects of certain herbs in the formula. The herbs may be in granules, powder, pills, capsules, tinctures, or bags to be boiled as tea. Most herb formulas consist of a mix of herbs and treat a wide variety of symptoms, while stimulating the body’s natural healing process. How does acupuncture treat physical pain? How do I Choose a good Acupuncturist or Oriental Medicine Doctor? Why choose Acupuncture and Chinese Medicine? What are side effects for Chinese Herbal Medicine? Cosmetic Acupuncture for facial rejuvenation?